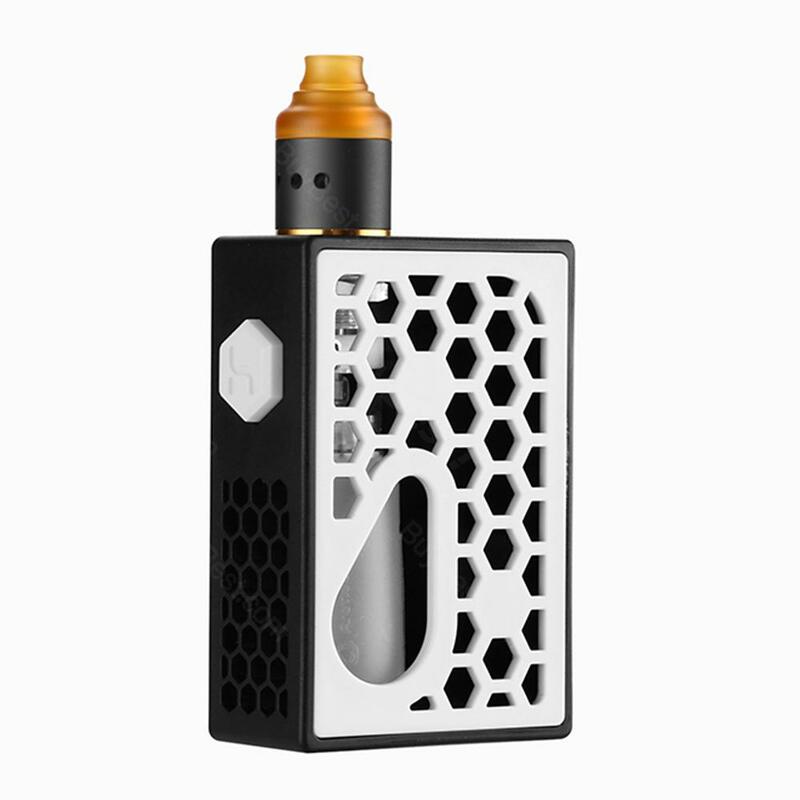 Swedish Vaper Hive Squonk Kit, which is powered by single 18650 battery to fire up to 115W, comes with 7ml silicone squeeze bottle to meet your daily needs. What makes us surprised is that it has switchable DL and MTL RDA. In addition, side airflow system will deliver excellent cloud. Swedish Vaper Hive Squonk Kit, which is powered by single 18650 battery to fire up to 115W, comes with 7ml silicone squeeze bottle to meet your daily needs. What makes us surprised is that it has switchable DL and MTL RDA. It means that you can enjoy two kinds of RDA with just one item. In addition, side airflow system will deliver excellent cloud. Just get it to enjoy vaping. No liquid or battery, you need to buy them separately. Three-month warranty for Hive Mod and Dinky RDA. Ordered for my mom. She loves the design and simple of use, especially the large juice capacity. One of my favorite squonker so far. I like the look and color. Functions well, gives me nice vapor and flavor with the Dinky RDA. Fast delivery, cheap price, good service, I'd order again for this site. silicone squeeze bottle very suitable for my husband,he like it very much.Switchable DL and MTL RDA,I also want to have a try now.Fast delivery and undamaged. Squonk Kit is my favorite style, don't like RDA. I just refill juice once in two days with the big 7ml silicone squeeze bottle. And I like the color layout, very beautiful. The design of Hive Squonk Kit is considerate, easy to press the fire button, easy to sqeeze the bottle. It's one of my favorites. Thank you, for such a great product, more importantly, the price is lower than other online stores. Love this yellow hive squonk kit so much. Nice looking and simple to use. The silicone squeeze bottle is soft and can hold large 7ml juice that lasts me 2 full days of vaping. Very happy with this purchase, especially the price is amazing! This kit is well-packaged. It comes without any damage. Apart from it, it has a large battery. Really want to give a good comment on it. The kit looks quite attractive. The high performance really surprised me.